Spring is trying - hard - to break free this April. It is likely that one morning, we&apos;ll all wake up and it&apos;ll be 98% overnight and Spring will have to wait to come to the party next year. While we have the time, however, one must embrace the sporadically chilly but not-so-much so weather and venture from our domestic cave dwellings and see people and things. No risk, no reward! So, I&apos;m here to encourage to crawl out of your pajamas, tear yourself away from your HBO Go, free yourself from that tub of Vanilla Nut yogurt and come out to play! 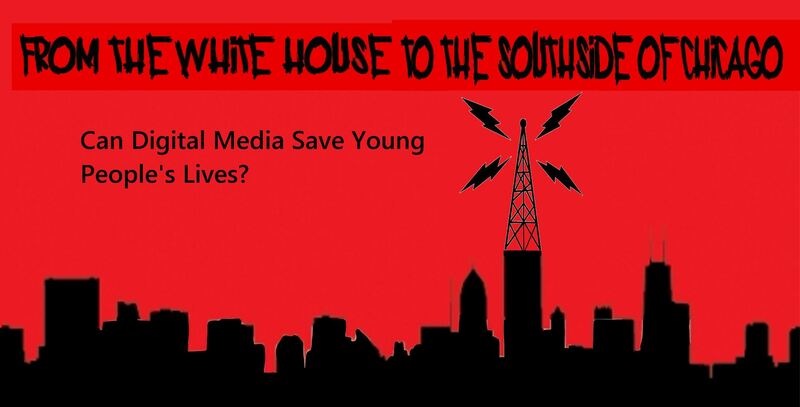 If some serious, thoughtful discussion about current events (that does not involve an RSS feed) is what you crave, swing by Experimental Station (if you&apos;ve never been, it&apos;s worth it just to see the place) and join in the discussion and live tweeting for The Public Square&apos;s From the White House to the South Side of Chicago: Can Digital Media Save Young People&apos;s Lives? That&apos;s Saturday afternoon and you NEED to be out of your house! Featuring a powerhouse group of speakers - Cathy Cohen, founder of the Black Youth Project; Biko Baker, Executive Director of the League of Young Voters; Malcolm London, poet and teaching artist at Young Chicago Authors; Martin Macias, media activist and youth organizer at Chicago Fair Trade (and my vote for the next Mayor) as well as L. Anton Seals Jr., Charity Tolliver, and Claudia Garcia-Rojas - this is a program that will explore how digital media can help transform the very notion of activism in the 21st Century. Plus there will be live tweeting and an opening performance by FM Supreme. Finally, next Tuesday, our very own Jim DeRogatis of Sound Opinions, will host a panel of blog critics to ask and answer the thoughtfully phrased question: Critics? We Don&apos;t Need No Stinkin&apos; Critics! (not really a question but they&apos;re bloggers - what do you expect?). Click the links. Get the details. Then take a shower, grab some food on your way out the door and be among the living!